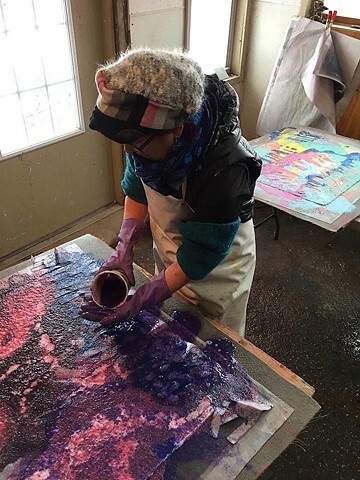 I went to the papermaking studio, it was 27 degrees outside and the heat was out in the studio! So I put on gloves, leg warmers on my arms, a wool hat and made 12 large sheets of pigmented paper. It was an awesome day!